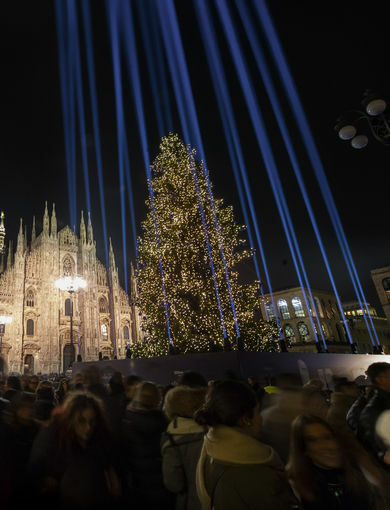 Urban Up Unipol had chosen to celebrate the Christmas season with the city of Milan, with whom it has significantly strengthened its ties in recent years. 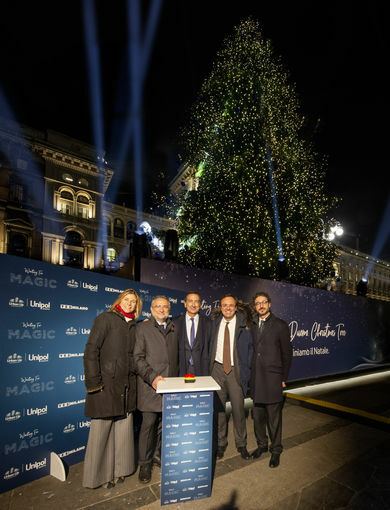 The expectation and “magic” that permeate the entire festive period had been encapsulated by the Group’s Waiting For Magic brand, particularly in the prestigious and iconic Piazza Duomo where Unipol presented Milan with its traditional Christmas tree. The Piazza Duomo Christmas Tree was switched on at 6.15 p.m. on 5 December and stayed on 24 hours a day until Epiphany. The 25 metre-tall fir tree, a Norway spruce from the Val di Sole in Trentino, had been transported directly into the square. It had blue decorations and was lit up by around 35,000 LEDs. 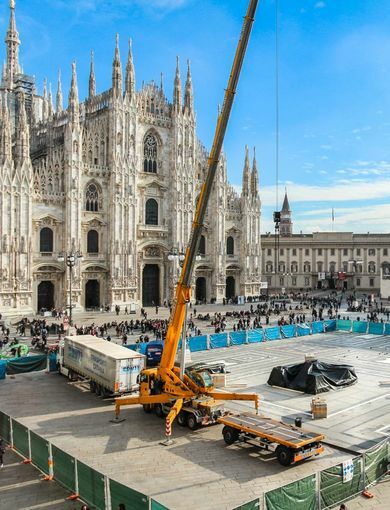 A feat of engineering which for the 2018 festive period aimed to make a major contribution to enhancing Milan’s standing from both a promotional and international perspective: the traditional Christmas tree, a time-honoured custom spanning different cultures, emphasises the value of life because the evergreen fir tree represents the reawakening of life, even in the winter. 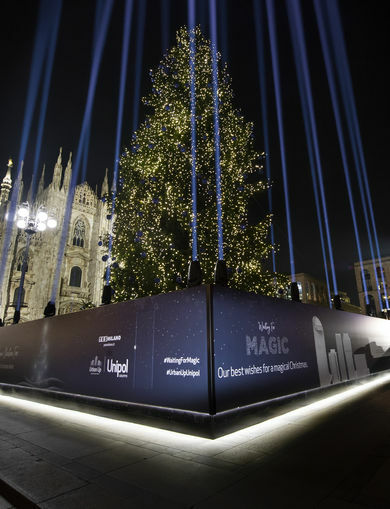 The Piazza Duomo Christmas Tree joined two other important Group projects: through its Urban Up brand - synonymous with the Group’s real estate assets – Unipol had also been involved in the Christmas Calendar and Torre GalFa Christmas Tree initiatives, both part of the Waiting For Magic project. 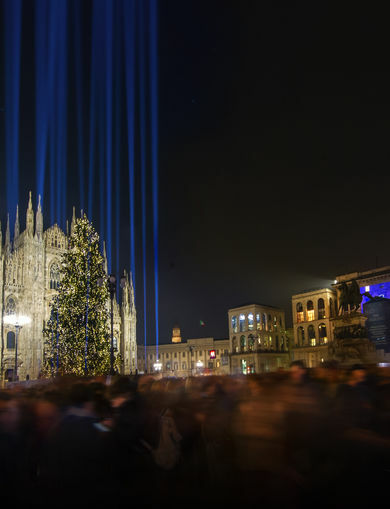 From 1 to 24 December the Christmas Calendar project transformed the southern porticoes building in Piazza del Duomo into a huge 1200 m2 screen (60 x 20 metres high) that projected a video offering a contemporary take on the traditional advent calendar. Thanks to the Christmas tree-shaped light installation that was positioned on the front of the tower until Epiphany, the Torre GalFa Christmas Tree was the tallest Christmas tree in the city.